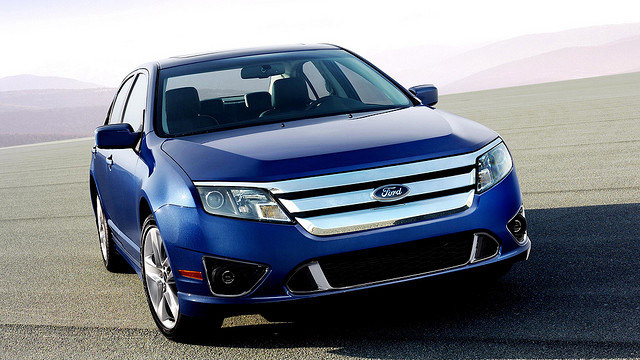 Ford vehicles are known for their resilience and dependability. Even still, every car and truck requires auto repair at some point. Why not come to Action Automotive the next time you need repairs or maintenance for your beloved Ford? Action Automotive is a premier choice for auto repair in Eugene, Oregon. Our shop is equipped with top-of-the-line repair technology and diagnostic equipment. Plus, our ASE Certified auto mechanics have decades of experience and go to frequent training sessions to stay up to date with new technologies in the automotive world. Owner and founder of Action Automotive, Craig, insist on a high standard of quality at his auto repair shop. Before opening Action Automotive in 1994, Craig was a professional oboe player and a mechanic on the side. Years later, now the occupations have swapped, with his repair shop business taking the forefront, but he and his team still hold the same principals. At the end of the day, Action Automotive is an outlet to give back to the community and help out customers. Just as with performance, you want all of your work to be worth a standing ovation, which is why Craig and his team are perfectionists when it comes to your Ford repair. If you are looking for reliable and thorough auto repair, you are in the right place. Our service advisors will be happy to chat with you about the options for your Ford and what we can do to make your day easier. We are conveniently located at 1491 West 6th Avenue, Eugene, Oregon, 97402. Give us a call now. Come in or call to make an appointment for your Ford today!